If you want to make cupcakes like I did (everything tastes better in cupcake form), bake the mixture in a muffin pan instead and top with this honey-cinnamon frosting. So easy and delicious! 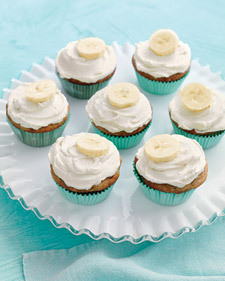 Nice blog,thank for the recipie, I´m also a banana´s bread lover.